The Festival’s 42nd season of summer entertainment under the stars also boasts a Monday Night Showcase, expanded Café Table seating and handling fee-free ticketing. INCLINE VILLAGE, NV (May 21, 2014) – Entertainment, food, family and friends will converge under the stars on the scenic shore of Lake Tahoe this summer as Lake Tahoe Shakespeare Festival (LTSF) – a premiere summer event in the Reno/Tahoe region – launches its 2014 season. Featuring live entertainment seven nights a week from July 11 – August 24, 2014 at Sand Harbor State Park, the season is anchored by the Festival’s mainstage production of William Shakespeare’s enchanting romantic comedy As You Like It; performed Tuesdays through Sundays each week at 7:30 p.m. Regional theater veteran Edward Morgan directs the production. “Featuring gorgeous costumes, stunning sets and one of the most talented professional acting companies in the West, our production of Shakespeare’s As You Like It is sure to delight the entire family,” continued Fee. Comic twists and turns abound in the fertile Forest of Arden, where a disguised Rosalind seeks refuge after being wrongfully banished by her uncle. Her unfortunate exile is transformed into a charming adventure when she encounters some of Shakespeare’s most beloved characters – colorful fools, witty rustics, and the handsome, lovesick Orlando. A clandestine, gender-bending courtship ensues, changing the lost into unexpected lovers, in this timeless and transcendent tale. A multi-event Monday Night Showcase series will augment the Festival’s 2014 mainstage production and feature a diverse array of live music and entertainment from a variety of genres. 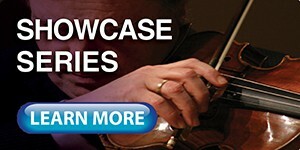 Monday Night Showcase performances will commence at 7:30 p.m. each Monday beginning July 14, 2014. Details and a complete lineup are listed below. The LTSF entertainment experience is complimented by al fresco dining at its on-site restaurant – Shakespeare’s Kitchen. Offering a wide variety of gourmet dining options, the Shakespeare’s Kitchen menu will be announced in the spring of 2014. Alternatively, patrons may choose to bring their own food or drink for picnicking. Complete information about picnicking and cooler size limitations may be found at www.laketahoeshakespeare.com/visit/faq. To satisfy audience demand for the popular Café Tables and Chairs seating option that the Festival introduced in 2013, LTSF will expand the seating section for the 2014 season. Featuring wait service in a unique, roomy and social seating environment, Café Tables and Chairs are available for purchase by table and will accommodate pairs (Duo) or foursomes (Quarto). Patrons that select the Festival’s Lower Gallery seating section will again enjoy assigned seating in comfortable sling fabric chairs. In the general admission Upper and Side Gallery seating sections, audience members may opt for pre-set chairs provided by the Festival or open beach for blanket seating in the sand. Ticket handling fees have again been eliminated for all seating options and types in 2014. Join the Reno Philharmonic Orchestra led by music director Laura Jackson, and featuring special guest Broadway vocalists Anne Runolfsson, Susan Egan and Gary Mauer, for an unforgettable evening of Broadway and pop classics in one of the world’s most picturesque performing venues. Edison and Ford were friends, and two of the most important figures in fomenting the great transition that occurred in America during the first half of the 20th Century as the nation shifted from a rural tradition to a modern urban society. They meet again at Lake Tahoe to discuss this extraordinary transformation. An exhilarating new twist on the classic ballet, this Swan Lake is set within the beauty of Lake Tahoe and performed by a cast of 40 dancers from one of the West’s most extraordinary, professional ballet companies. Enjoy a breathtaking new version of the timeless story filled with drama, sorcery, seduction, bravery and devotion. Get into the groove and enjoy this fusion of “get-down” music saluting the Godfather of Soul – James Brown. Featuring superstar tunes from the 60s and 70s, it’s a must-see and electrifying synthesis of jazz and funk that will rock the High Sierra overlooking Lake Tahoe this summer! Enjoy Stephen Sondheim and Hugh Wheeler’s tasty and thrilling theatrical treat, Sweeney Todd: The Demon Barber of Fleet Street. This classic musical thriller has simultaneously shocked, awed, and delighted audiences across the world. Sweeney Todd has been a bloody, worldwide success since its Broadway premier, winning 8 Tony Awards including Best Musical. Booker T. Jones set the standard for modern soul music. A Rock and Roll Hall of Fame inductee and recipient of a Grammy Lifetime Achievement Award, this Hammond B3 organ master will thrill Sand Harbor patrons with a mixture of vocals and instrumentals. 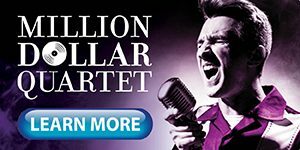 Audiences will enjoy his greatest hits like “Green Onions” and “Hang ‘Em High,” as well as new jazz from his recent album, Sound the Alarm. Booker T. supports Lake Tahoe Shakespeare Festival. House right Premium and Café Table and Chairs Seating sections have been designated as LTSF fundraiser seats for this concert. Tickets in these sections are $200 each and include a cocktail party and meet and greet with the artists! Tickets for As You Like It range in price from $15-$85. Monday Night Showcase ticket prices vary by event. 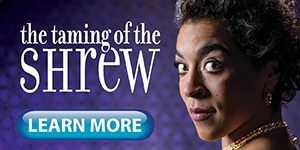 All tickets are available for purchase online at www.LakeTahoeShakespeare.com or via phone at 1.800.74.SHOWS. Discounts are available for groups of ten or more attending As You Like It. For group info and reservations, call (775) 298-0154.
of all residents and visitors to Lake Tahoe and the region. Annually drawing more than 30,000 attendees from across the country to the specially built Warren Edward Trepp Stage along the north shore of Lake Tahoe, the Festival is committed to producing the finest cultural events in the region. The Festival’s community outreach initiatives are highlighted by signature educational programs that include InterACT, an interactive school-based workshop series for students designed to educate future generations about the importance of the arts, theater and music, and the D.G. 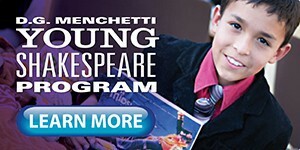 Menchetti Young Shakespeare Program, a free series of performances produced specifically for younger audiences that are presented free of charge during the summer at Lake Tahoe and throughout northern Nevada.